We’ve been working directly with the Open Source Election Technology Foundation (OSET) on the TrustTheVote Project — an open source project to reimagine the voting system in the United States. 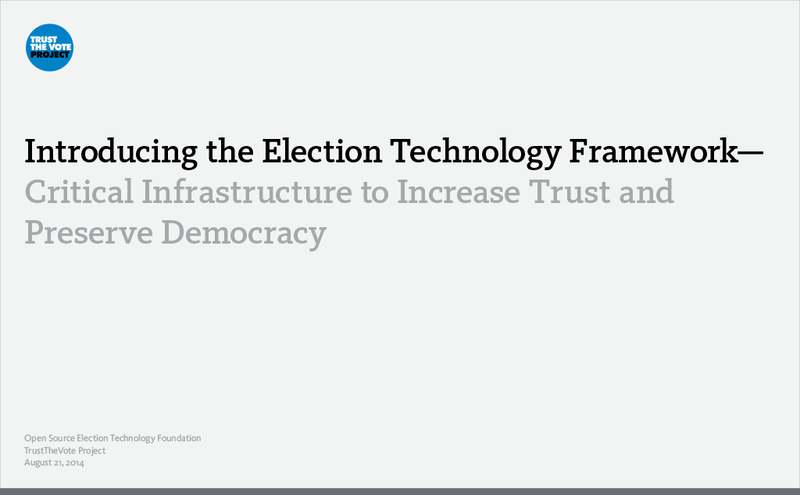 The TrustTheVote Election Technology Framework is something new — a blueprint for developing a complete elections system. The framework provides a specification for open source election technology drafted by OSET and local election officials around the country. The framework includes 14 separate components and details the data relationships between them. Some of the components are in development. And both the Voter Services Portal and the VoteStream elections results reporting system are in alpha release. This overlay shows the flow of data from each component. This book provides a technical overview of the TrustTheVote Project. It begins by describing the election process and shows how that process maps to the election technology framework OSET is proposing. The book provides an overview of the framework‘s main components and then “zooms in” to provide details about each component, sub-components, links between components, and data flows that make possible the planning and execution of elections. 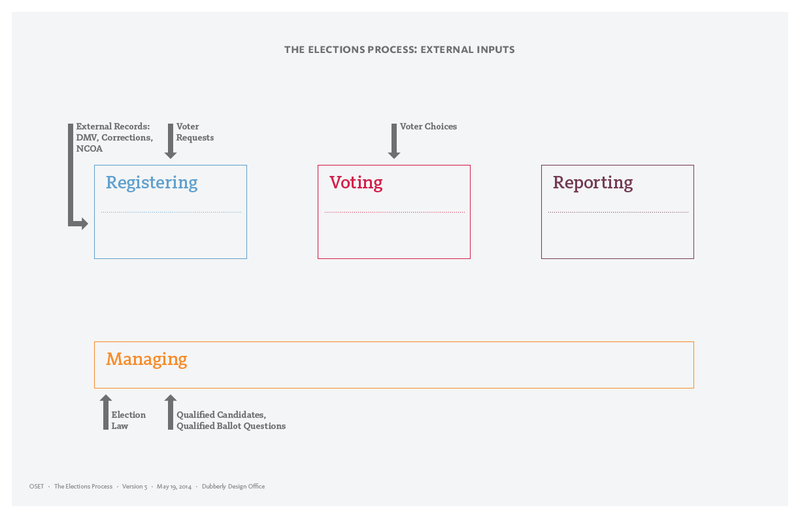 This document introduces major components of the high level model of the elections process: External inputs, internal processes, and logs. It includes a diagram of step-by-step activities that constitute an election. Read the VoteStream article and view the VoteStream project. We also encourage you to support this important work by contributing to the TrustTheVote Project.